Do you want to focus on your pronunciation in English or French? Come participate in our pronunciation clinics! On Friday, March 21, EC students have the chance to work with one of our teachers on their French pronunciation. This special lesson on Friday afternoon is one of many free activities offered at EC Montreal. 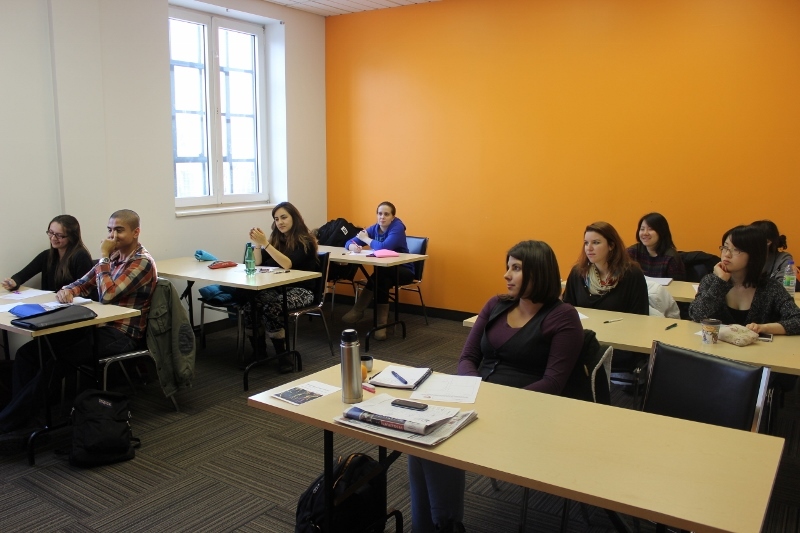 If you plan to study FSL Abroad at EC Montreal, you will be able to practice French and English through participating in the free afternoon academic activities. Whether it is a Lecture, a movie afternoon or a French/ English for work preparation clinic – all these activities will allow you to improve your language in addition to your courses. The best part is they are offered as free academic extras at EC Montreal! One-to-One English lessons in Montreal are also an option to help you improve your pronunciation skills. There are so many language course options available to you at EC Montreal!